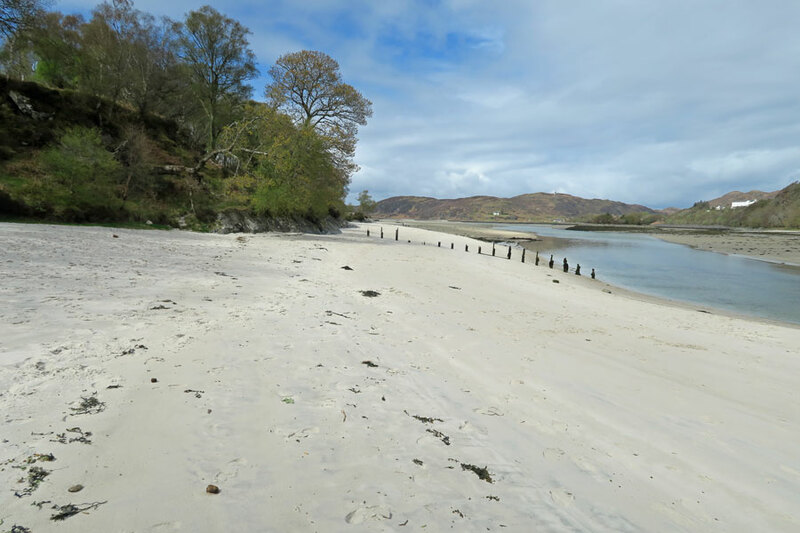 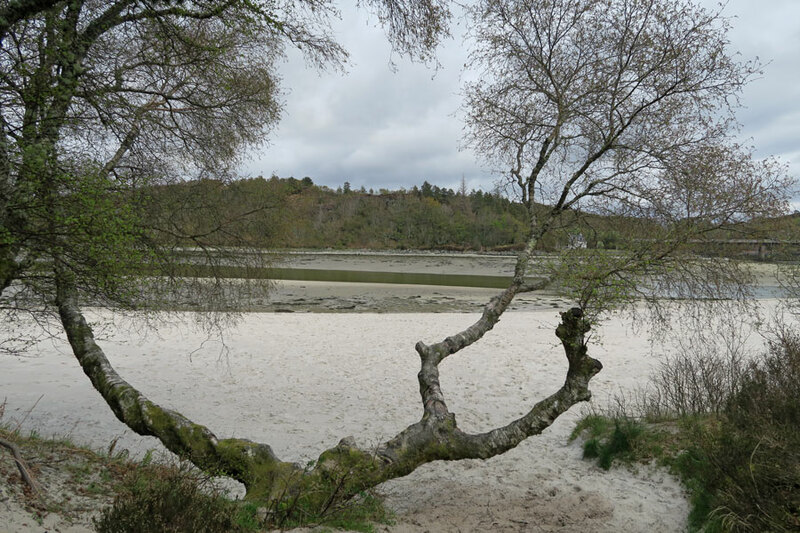 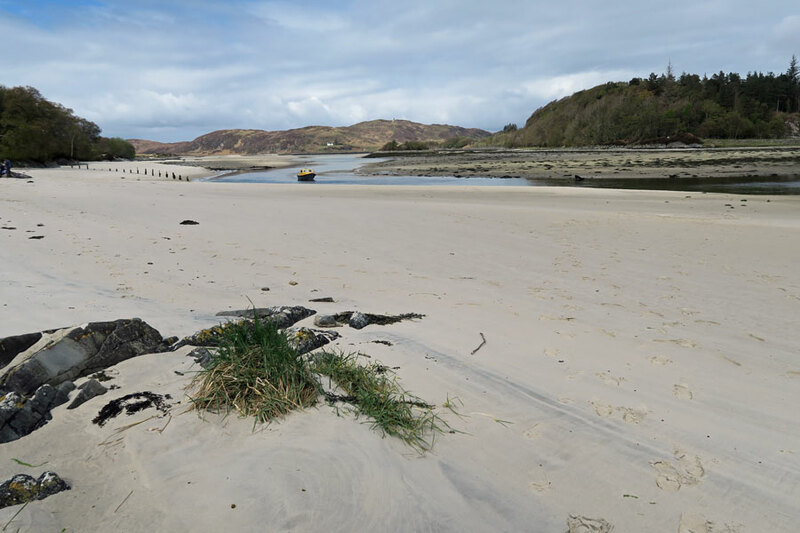 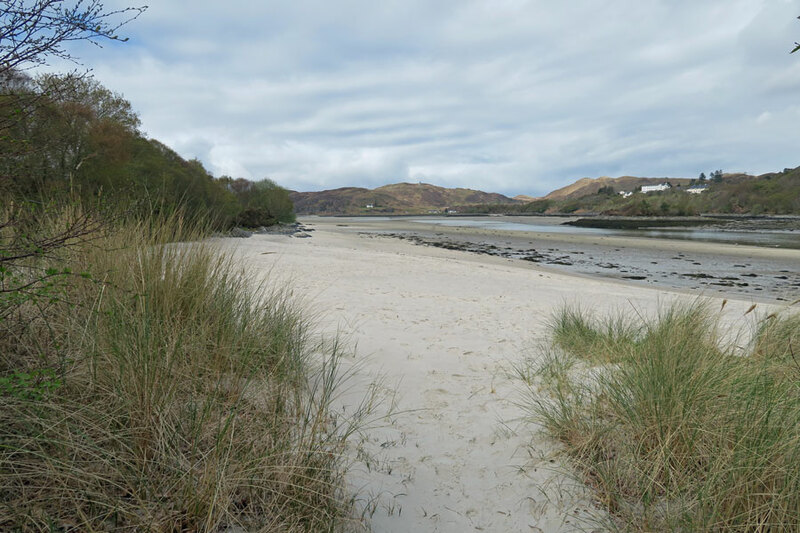 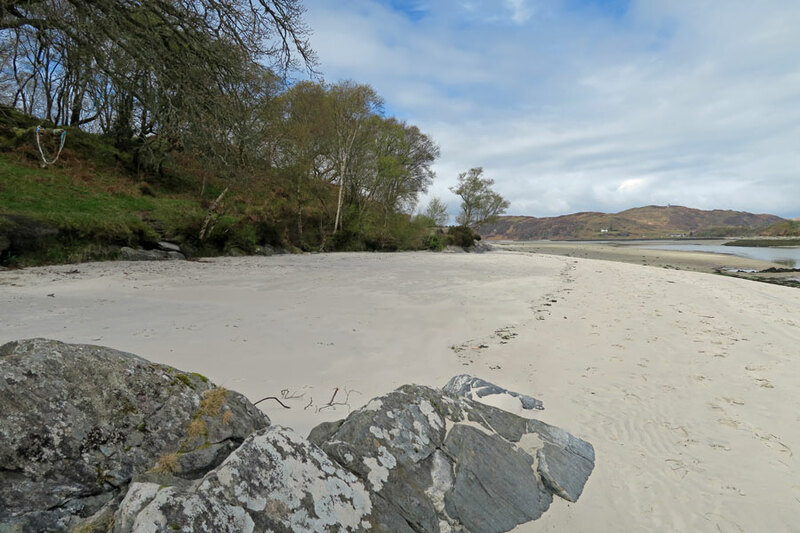 The Silver Sands of Morar are a stunning string of white sandy beaches on the banks of the River Moidart as it enters the Sounds of Arisaig. 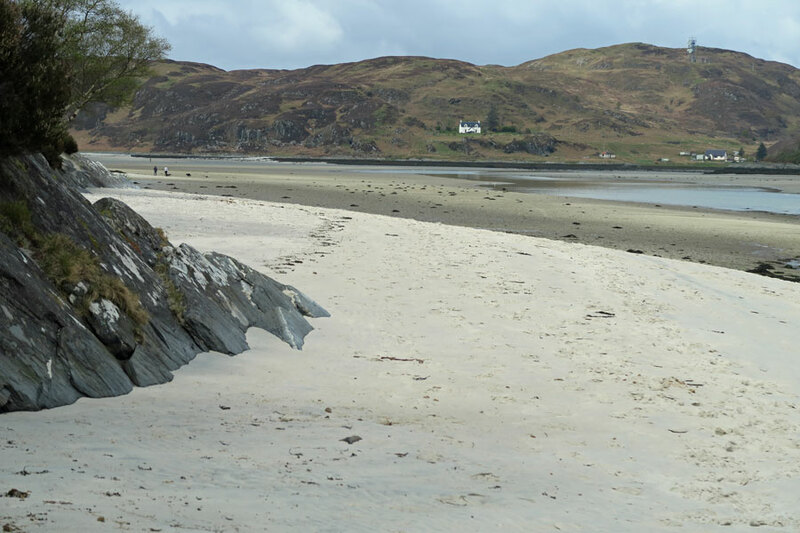 Unmissable when taking the scenic coast road from Morar to Arisaig, you're sure to be tempted to explore as the white sand creeps over the wee winding road. 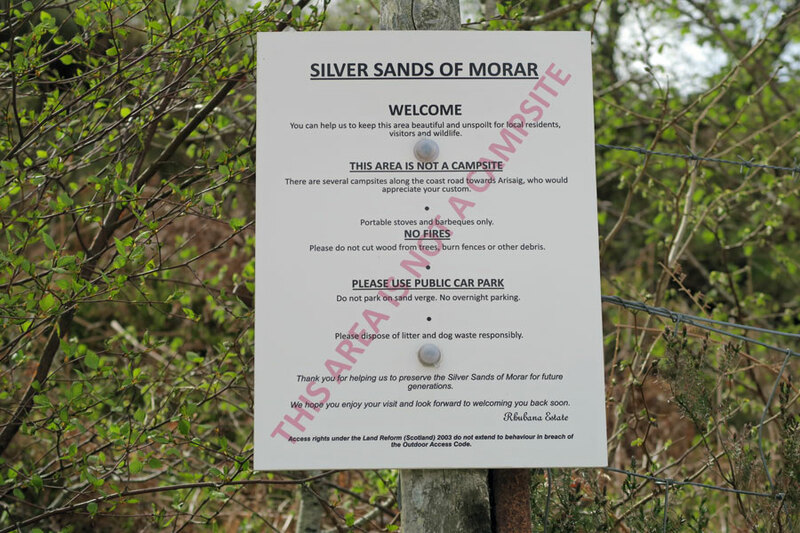 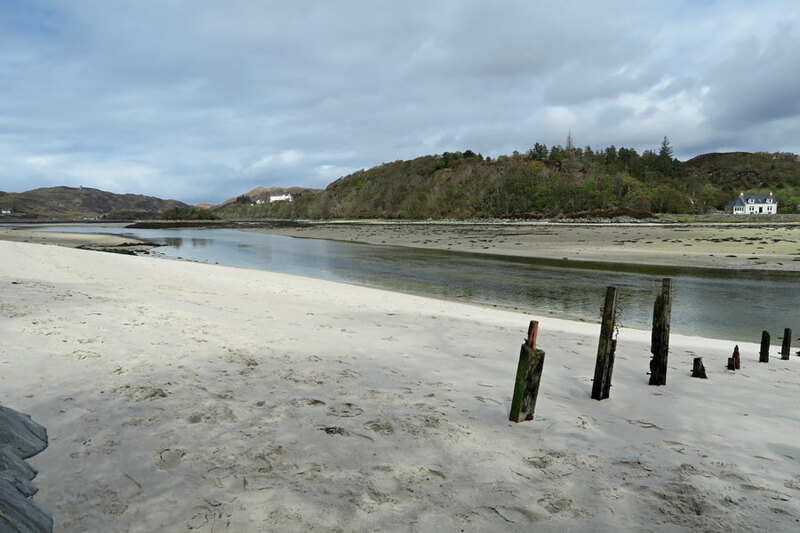 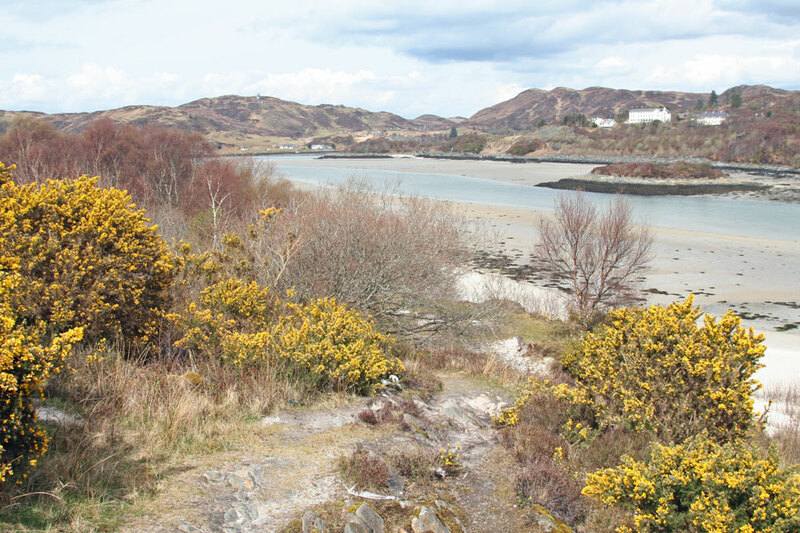 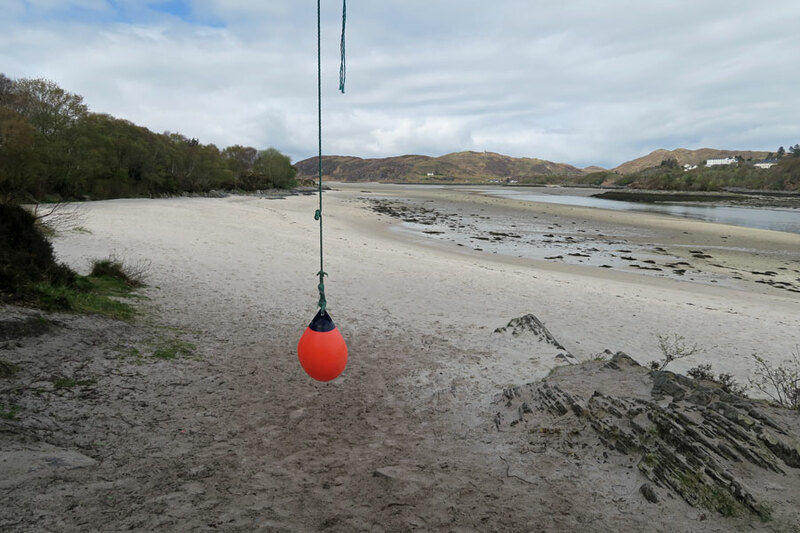 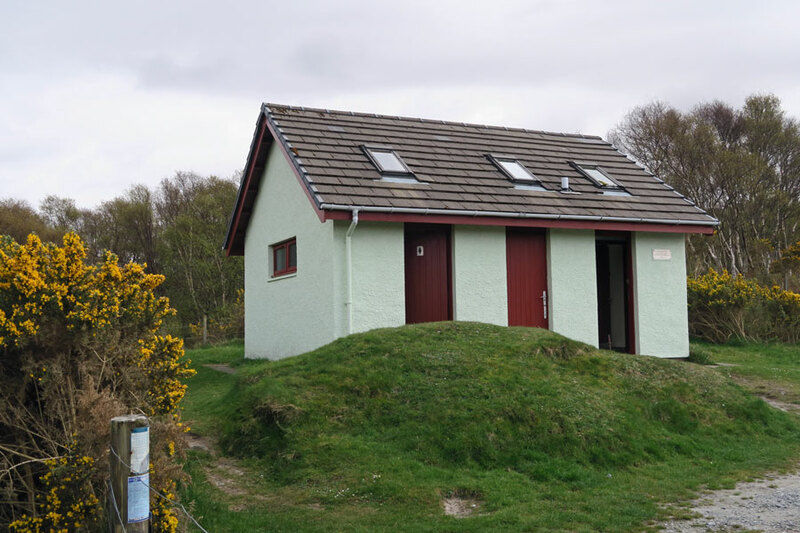 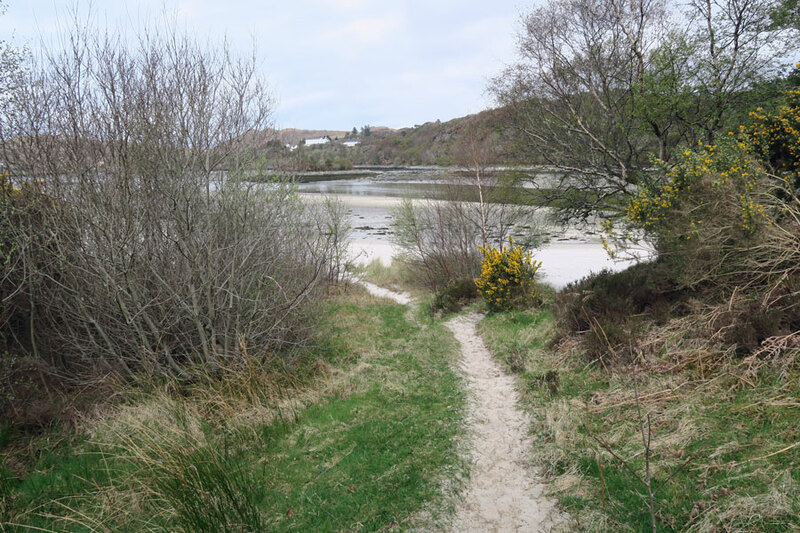 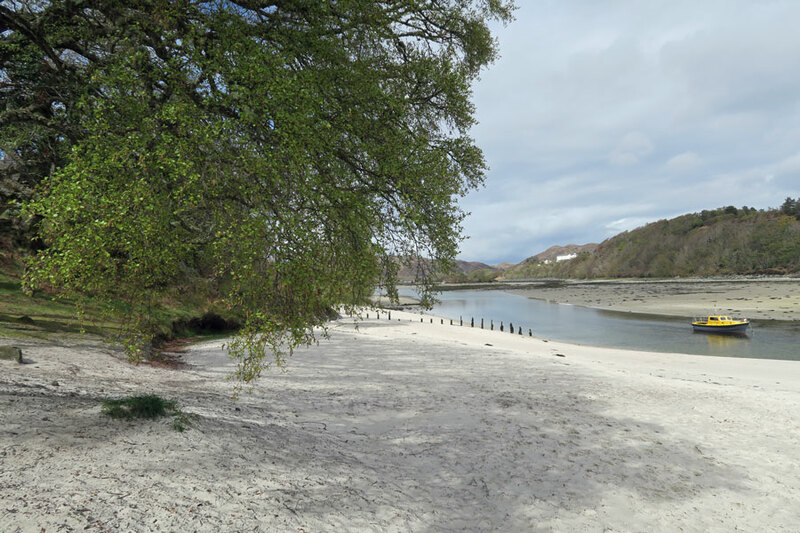 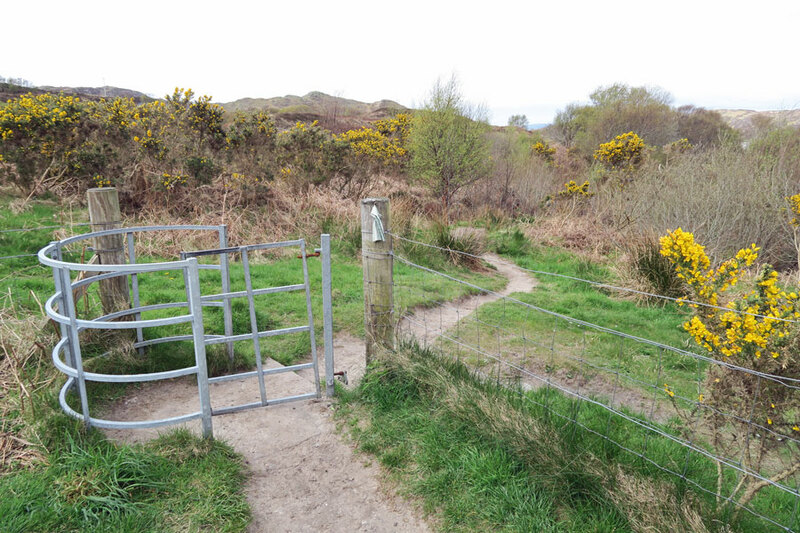 There is a small car park with toilet facilites on the B8008 just south of Morar, though many people simply pull up on the sides of the road to admire the beach and the views up the River Morar. 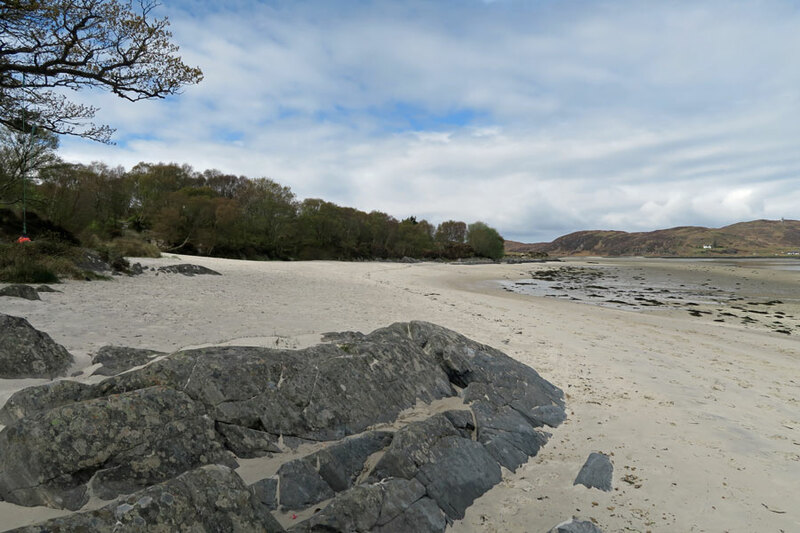 The beach is best explored at low tide and extends for almost a mile to the north with interesting mature coastal heath vegetation behind.